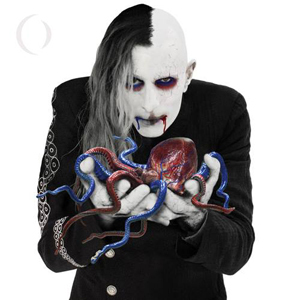 A PERFECT CIRCLE will release Eat The Elephant, the band’s fourth full-length album and first since 2004’s eMOTIVe, on April 20 via BMG. Pre-orders for the 12-song album, which was co-produced by Dave Sardy (AUTOLUX, SLAYER), are available now (https://AperfectCircle.lnk.to/EatTheElephantPR) and come with instant digital downloads of “TalkTalk” (Streaming Below), “Disillusioned” and “The Doomed”. Eat The Elephant is being released in multiple formats including digital, CD, double gatefold 180-gram vinyl and a box set with vinyl, CD and hi-res digital download as well as a prism and custom playing card deck. In advance of Record Store Day, a limited-edition independent retail exclusive version of the LP on white 180-gram vinyl with alternate cover will also be available. Pre-orders can be found HERE. "By And Down The River"
News of the album’s release arrives as the band announces a Spring tour, with several festival performances, including Coachella, Las Rageous, Northern Invasion, Rock On The Range and Rocklahoma having been previously announced. A full list of tour dates, including the band’s first European outing since the 2004 release of eMOTIVe, are below. *-On-sale this Friday at 10 am local time (all other shows are on-sale now); Get an exclusive code for early access to tickets for Santa Barbara, San Jose and Birmingham shows with Eat The Elephant pre-order HERE.